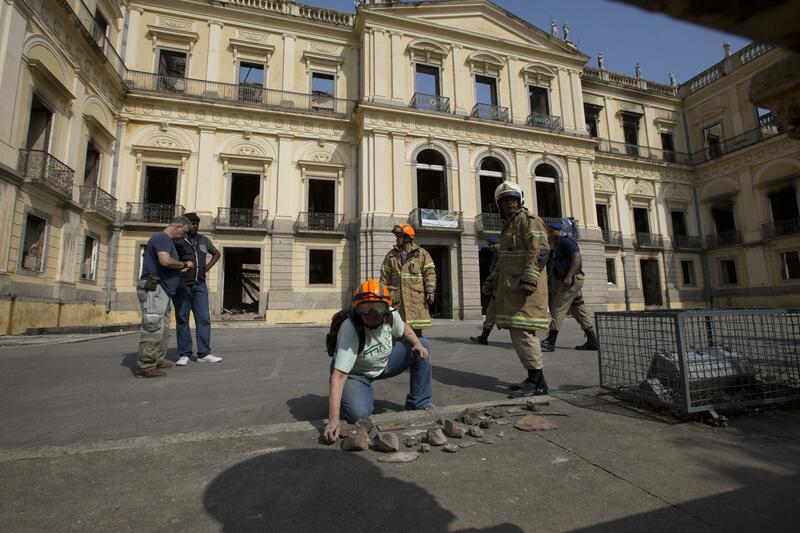 RIO DE JANEIRO – Firefighters dug through the burned-out hulk of Brazil’s National Museum on Monday, a day after fire roared through the building, as the country mourned the irreplaceable treasures lost and pointed fingers over who was to blame. “The money spent on each one of those stadiums – a quarter of that would have been enough to make this museum safe and resplendent,” he said in an interview in front of the still-smoldering building aired on Brazilian television. The museum, which was once home to the royal family, also housed extensive paleontological, anthropological and biological specimens. It was home to a skull called Luzia that was among the oldest fossils ever found in the Americas. It also held a Torah and an Egyptian mummy and the largest meteorite ever discovered in Brazil – one of the few objects that officials could confirm had survived. Published: Sept. 3, 2018, 11 a.m. Updated: Sept. 3, 2018, 9:56 p.m.